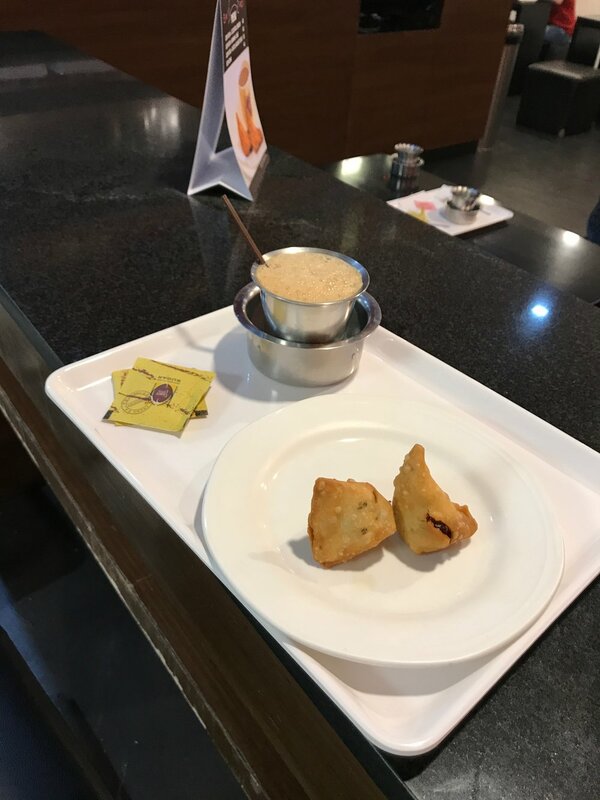 On my recent visit to Kalmane Koffees in Forum Mall, Bangalore, I experienced very good customer service, drank delicious filter coffee, and ate tasty cocktail samosas. How the Kalmane Koffees Loyalty Program Membership work? Once the customer gives the loyalty code to the staff at the outlet, the staff then inputs the same into a designated place on a web page so the system could generate the discount to be given on the bill. The discount could be anything between 5% and 15% for the customer. The staff at the outlet perhaps forgot this process and hence bought time. Since I too wanted the discount on the bill, I chose to wait till he sorted it out. In the future, if staffs remember this process and perform their actions accordingly, then the transaction could be more swift and quicker. Upon ordering I was given a restaurant pager/beeper that would beep the moment my coffee and samosa is ready for me to go and pick it up because of self-service. It took about 6-8 minutes for my order to be ready so I was reading a book while listening to music on my mobile. Since beepers are given to customers, it was helpful to notice the light flashing on my beeper once my order was ready. I love the Filter coffees and Cheese balls at Kalmane Koffees. But for the first time I ate cocktail samosas and they were heavenly. The samosas were small and cute, and piping hot. The masala inside the pastry was delicious and was less spicy too. The pastry was a just a bit crispy and I loved the texture too. In the last one week, I visited many branches of Kalmane Koffees in Chennai and Bangalore and every time I have had an amazing experience. The quality of their filter coffees and the food is topnotch.